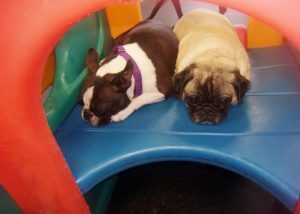 Dogtopia of Herndon has provided dog parents with a safe and fun place to leave their dog or pamper their pup since 2011. 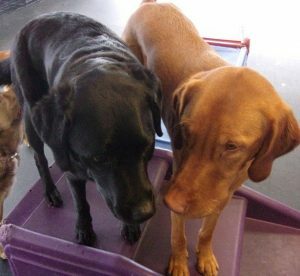 We offer dog daycare,dog boarding, dog training and dog spa services. Our friendly and knowledgeable team love dogs and will do everything we can to make sure they have a paw-some time when they stay at our fully-equipped, spacious facility. 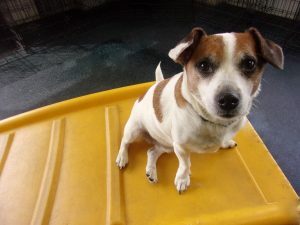 Favorite Activities: Bailey loves to cuddle and play with her best friends every morning. And in the afternoons, Bailey enjoys sunbathing and relaxing. Friends: Jimmy the Pitbull Terrier, Huey the Golden Retriever, Finley the Yellow Labrador mix, and Cody A. the German Shorthair Pointer. Most Lovable Qualities: Sweet girl Bailey has love for everyone she meets! She comes to Dogtopia with a big smile on her face and is always ready to make new friends with everyone she meets! We proudly serve dog parents in Herndon, Sterling and the surrounding areas at our conveniently-located facilities. We’re located above Herndon Animal Medical Center off of Elden Street, close to the Fairfax County Parkway, Herndon Parkway and the Dulles Toll Road. You send your kids to school to learn and have fun. Why should your four-legged family member be any different? 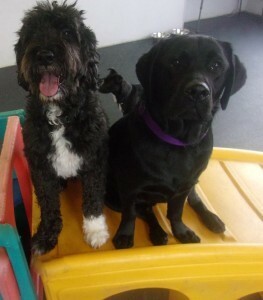 Our daycare provides dog owners with a safe and fun place to leave their pet for the day. And as much as you would love to bring your dog with you on vacation, it might not be possible. Your pup will enjoy their own five-star accommodations when you board them with us. Our facility is equipped with two spacious, fully supervised playrooms. We separate dogs according to their size, temperament and play style to ensure a safe and comfortable environment for your beloved pet. Our facility is off-leash, allowing your pup total freedom. 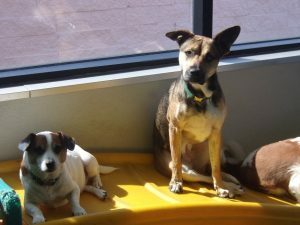 We provide dog parents with half-day or full-day daycare services seven days a week. If your pup is getting to be a bit smelly, we also offer a full range of spa services as a part of our dog daycare and dog boarding packages. If you’re looking to pick up for food for your pup, we also provide Blue Buffalo’s nutritious dog food. When you pick up your dog in the evening or after an overnight stay, they will be clean and tired but happy after playing with their new friends. If you’re planning to board your dog overnight or longer, we recommend bringing them to our location for a visit beforehand so they can meet our team and become comfortable in the new environment. Please contact us for a free, no obligation tour of our facilities. We would love to meet you and your dog and show you everything we have to offer! 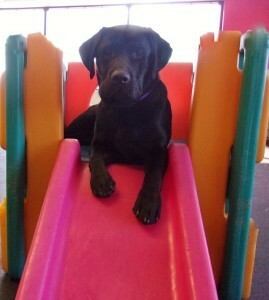 Think of our daycare in the same way you would dogs; it comes in all shapes. Our facility has two spacious indoor playrooms with specialized rubber flooring. 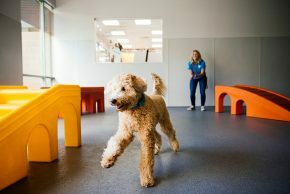 The rubber flooring is specially designed with dogs’ comfort in mind; it’s easy on paws and hips and joints, something that is especially beneficial for older dogs and dogs suffering hip dysplasia and other joint ailments. Your dog may not be the only one who suffers from separation anxiety. We provide webcams in each of our playrooms so you check on them throughout the day. All you need is a device that is connected to the internet. 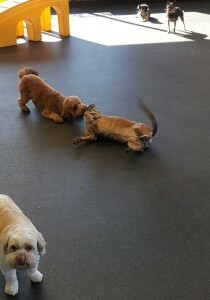 Enjoy peace of mind and a good laugh when you see your fur baby playing with their new BFFs! 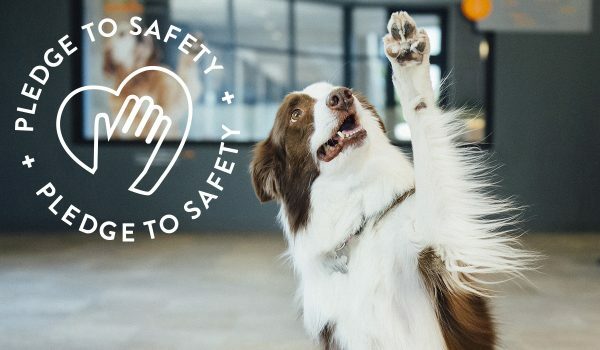 We realize how important your dog’s safety is. Each of our playrooms is supervised by our highly trained team. 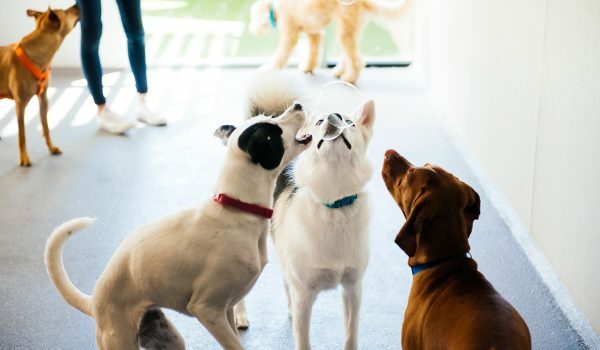 Dogtopia of Herndon trains our dog care professionals to recognize even the most subtle dog behavior and give anyone who needs it a time out. 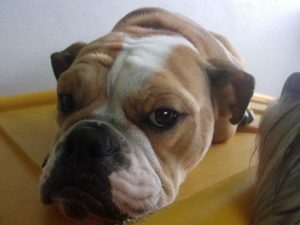 If you want to schedule your dog for daycare, boarding or spa services, please contact us to arrange a time and date. 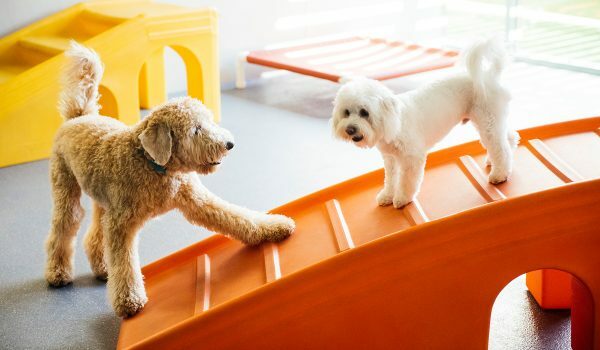 Before you bring your dog to stay overnight, we ask that you bring them in for a meet and greet with our team so we can decide if your pup is the right fit for our play environment. 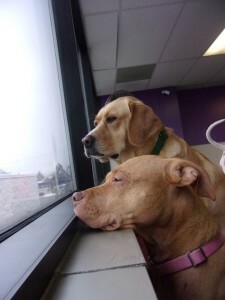 For dog daycare and dog boarding clients, we ask that they bring any food, medication and bedding they may have. If you forget, we provide our canine clients bedding and with Blue Buffalo dog food. At Dogtopia of Herndon, we realize that each dog is unique. That is why we encourage you to book an appointment with us so we can work with you to find the dog daycare, dog boarding and dog spa package that will best meet both you and your dog’s needs. Our friendly and knowledgeable staff will be more than happy to answer any questions you may have and determine if we are a right fit for your pup. You can also download our enrollment form here.